Internationality will be one of the highlights of the 39th edition of Sigep, which will take place from 20 to 24 January 2018 in Fiera di Rimini. The Salon will have a more global profile thanks to a great program of high profile championships and numerous initiatives dedicated to the confectionery sector’s promising youngsters’ professional growth. 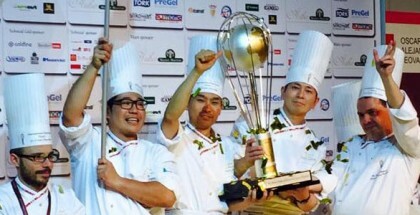 One of the most anticipated competitions that puts women pastry chefs in the foreground is Pastry Queen. 12 applicants from Australia, Brazil, Colombia, the Philippines, France, Japan, India, Morocco, Mexico, Russia, Thailand and the United States will compete to win the fourth edition. “The contestants have risen from 10 to 12 and for years in France and India national selections have been held, and this year will be extended to the Philippines. Pastry Queen is the dream of all those girls who, beginning from the sector’s schools, understand that being excellent pastry cooks is at the base of success “, explains Roberto Rinaldini, president of the Salon. Once again, the Italian professional pastry chefs have their own competition, the Italian Senior Confectionery Championship, in which 17 participants from all over the peninsula will face off. Competing for the victory will be Roberto Rinaldini (so good #4), Andrea Restuccia, Luca Bernardini, Domenico Di Clemente and Valerio Vullo for the ice test; Davide Malizia, Alessandro Petito, Marco Tateo, Alessandro Comaschi, Lorenzo Puca, Roberto Miranti, Alessandro Bertuzzi, and Michele Zeolla in the sugar category, and Massimo Carnio, Sebastiano Vinciguerra, Mattia Cortinovis and Carmelo Sciampagna in the chocolate section. The three winners of each section will form the team that will represent Italy in the Coupe du Monde in Lyon in 2019. And for the Italian juniors, the Italian Junior Pastry and Chocolate Championship, which will be done in a single day, on Saturday, January 20. The young promises will have to show their worth in three tests around the theme of “Stars and legends”: artistic sugar and chocolate piece, modern chocolate and hazelnut cake, and an individual portion of tiramisù. 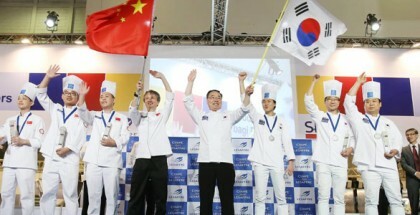 The winner will be the representative of the country in the 2019 Junior World Pastry Championship in Rimini. There is a new annual competition that will put to the test 12 training schools throughout Italy, from Venice to Pescara, in the Pastry Arena which stands out. A competition that is part of the Sigep Young program, the great possibility for students, accompanied by their teachers, to come into contact with the work world, thanks to the possibility of courses with important companies during the expo. There are also novelties on an ice cream level. The salon’s flagship event, the Gelato World Cup (Coppa del Mondo della Gelateria), has just announced that Brazil will replace Mexico, which had qualified for the grand final after finishing second after Colombia in the Latin American Championship of Fithep Artisanal Ice Cream. Thus, the twelve teams that will finally face off next January will be Argentina, Australia, Brazil, Colombia, France, Japan, Morocco, Poland, Spain, Switzerland, the United States, and Ukraine.